Interested in telling stories, but wary of professional camera equipment? Sign up today for "Lights, Smartphone, Action!" 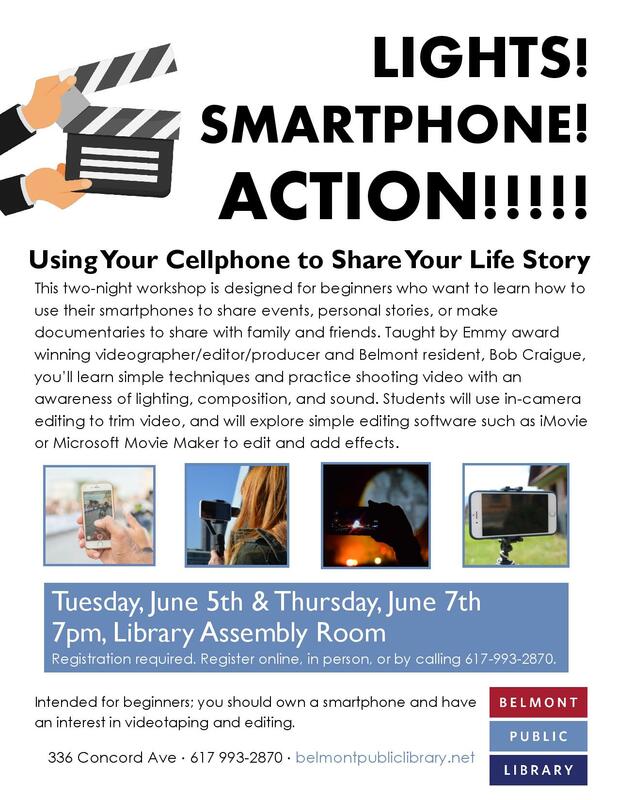 at the Belmont Public Library and learn how to shoot and edit videos right from your smartphone! Over two evenings, learn how to use your smartphone to take the best photos and video possible, and how to edit that footage into a short video of your own. Register through the Library.